“Customers delight” is our motto. “Customers satisfaction” is our vision. 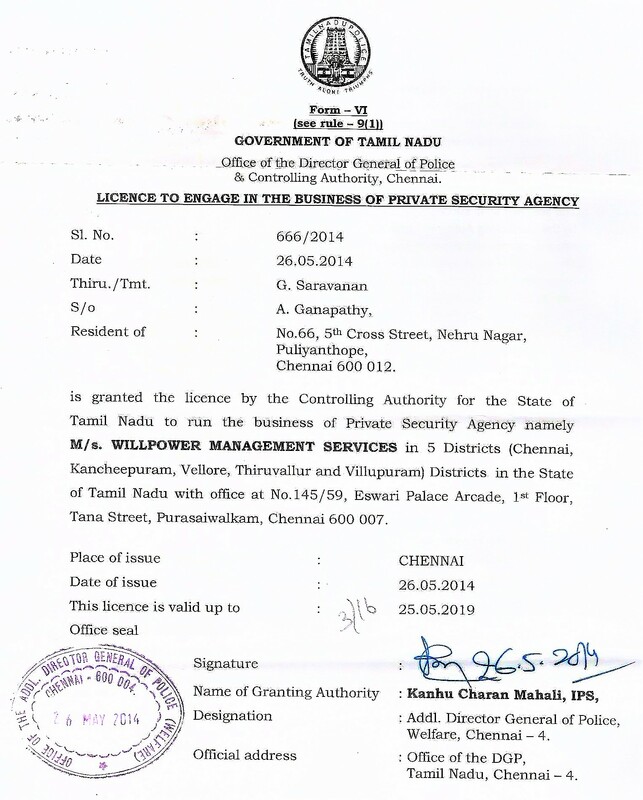 Willpower Facility Services has earned a reputation as a security organization. Our MD has a commitment to professional training. This assures our clients the superior level of service they deserve. Our Training philosophy has never waned and our security personnel continue to provide the most professional security services available at very competitive rates, prior to placing our security personnel we ensure he/she is well prepared to cope with real world challenges. Our concern registered under company’s act 1956. We have well experienced official staff to take care recruitment,training,operation,marketing and administration. Willpower Facility Services is dedicated to do the services for Security, Housekeeping Labour Contracting, Gardening, Pest control, Electricians, Plumber, Carpet Cleaning & Catering Services.The Company has earned the confidence of the reputed clients all over the country. As professional in this field, we would like to relieve the burden of the management from all facility functions by deploying our persons on contract basis in your company. We have round the clock surveillance system our field managers supervise our persons. 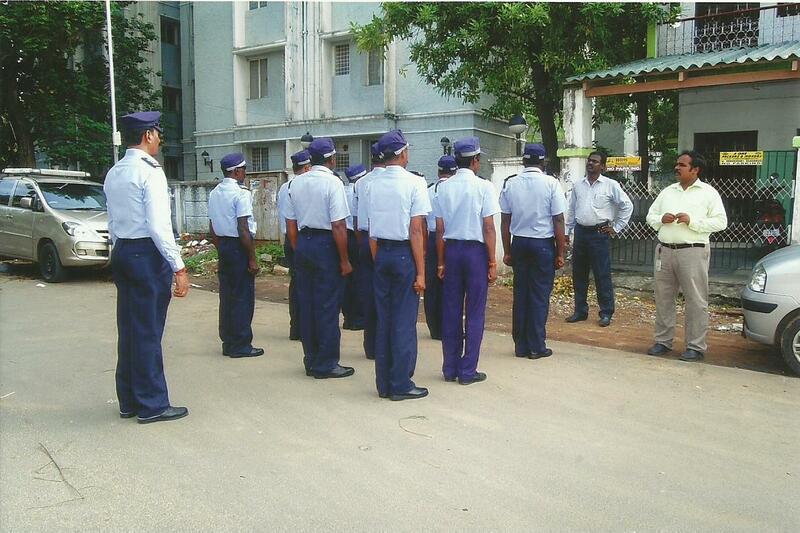 They will visit each unit at least once in two days and meet the concerned authorities for any complaints/developments:surprise night shift visit are also carried out by our field managers and admin managers are given with mobile phones for easy accessibility for the client in case of any eventuality. Our pride is client satisfaction and retention of our contract to excellent service. Until and unless we are sure of our success, we will not propose taking on an assignment. Our success lies in such policy, which has placed us among the top ranking security agencies in the global market.